Products typical of the Italian wine-making tradition, sparkling wines are identified by the presence of the characteristic bubbles. These wines are obtained through the alcoholic fermentation of freshly-picked grapes using the extended Charmat method. Separated into their various categories according to their sugar content – zero dosage, brut, extra dry and dry – sparkling wines are the unmistakeable expression of the ‘Made in Italy’ trademark the world over. Our sparkling wines are noted for intense, fruity flavours that are suitable for a variety of occasions. Sparkling wines are produced in different regions with different methods, yet obtaining wines that are world famous and characterized by the typical bubbles that explode in the mouth and caress the palate. 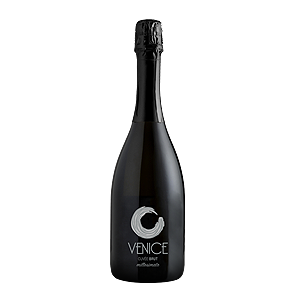 Our sparkling wines can be purchased online directly from our website and come in four different styles: Cuvèe Extra Dry sparkling wine; VENICE Couvèe Extra Dry millesimato sparkling wine; VENICE Couvèe Brut millesimato sparkling wine; VNC Extra Dry Rosè sparkling wine. Our vintage (millesimati) sparkling wines are of very special quality and are manufactured using only the most selected, highest-quality, hand-picked grapes. 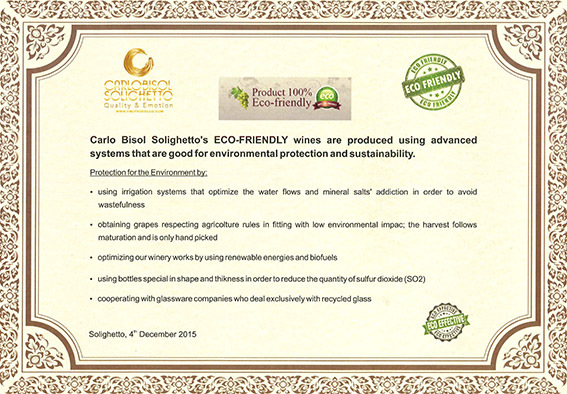 Our sparkling wines are the true expression of the guarantee of quality of our vineyards and the passion that Carlo Bisol Solighetto instills to the production of all its wines.